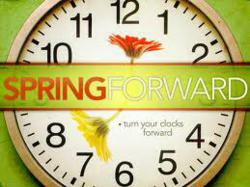 Many Fire Safety Experts agree that Daylight Savings Time is the perfect time to change batteries in smoke and CO detectors. All Hands Fire Equipment is announcing additional tips that are important to consider this time of year. Many people are familiar with local fire departments recommending that homeowners change smoke alarm batteries at least twice a year, and that it’s a good habit have these batteries changed when the clocks are set back or ahead in the Fall and Spring. It may be less common knowledge that carbon monoxide detector batteries should also be changed according to the same schedule. Recent estimates show that about 170 people in the United States die and several thousand more are hospitalized each year due to carbon monoxide poisoning According to the Centers for Disease Control and Prevention. In light of these facts, it is vitally important have carbon monoxide detectors in every home, and to change all carbon monoxide detector batteries when the clocks are set an hour ahead at the start of Daylight Savings this weekend. Carbon monoxide, or CO, is a colorless, odorless, toxic gas that can be deadly if inhaled in great enough concentration. Cars, generators, lawn mowers, and many other internal combustion machines produce carbon monoxide while burning oil, natural gas, wood, propane or charcoal. With so many carbon monoxide producing machines present in and around the average home, there are many ways that families may be unknowingly exposed to hazardous levels of carbon monoxide. A properly installed and maintained carbon monoxide detector can be a crucial early warning of danger in the event that dangerous levels of carbon monoxide become present in the home. When a carbon monoxide detector activates, it is a clear signal that it is time to get all members of the family out of the building and into the open air as soon as possible. Don Colarusso, a firefighter for over 20 years and founder of All Hands Fire Equipment notes that homeowners should “Place smoke detectors and carbon monoxide detectors according to manufacturer and fire department regulations, and be sure to test them monthly.” All Hands Fire Equipment, experts in the first responder equipment industry and carry fire safety gear ranging from CMC rescue equipment to Life Guard gear ( http://www.allhandsfire.com/life-guard-swim-suits-equipment-supplies ). 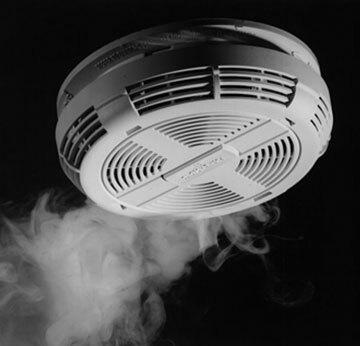 Chief Colorusso adds, “Be sure to follow the recommended maintenance requirements, including bi-annual replacement of batteries in carbon monoxide and smoke detectors. This is also a great time to inspect any fire extinguishers”. Additionally, All Hands Fire Equipment offers the following safety tips for preventing dangerous levels of carbon monoxide in the home:. Appliances such as the stove, oven, clothes dryer, etc. should be installed properly. Manufacturer installation instructions and/or installation by a certified/qualified service company are required. Heating unit, hot water heater and fuel-burning appliances should be inspected and serviced professionally at least once a year. It is important to have chimneys, flues and vent pipes checked and inspected for obstructions, blockages, loose connections and other issues. Gasoline-powered equipment must not be operated inside homes, garages, basements or near enclosed spaces. CO can enter an enclosed space via open windows, doors and by other means even if the equipment is being run outside. Cars should never, ever be left running for extended periods inside a garage, even if the garage door is open. Initial symptoms of CO exposure are often flu-like and include headache, dizziness, nausea, fatigue and shortness of breath. Higher level exposure CO poisoning symptoms include confusion, vomiting, seizure, loss of consciousness, and eventually death. It is crucial to take every precaution possible against carbon monoxide, and maintaining carbon monoxide detectors by changing the batteries at the beginning and end of Daylight Savings is an important step toward CO safety. Quality Smoke Detectors, Carbon Monoxide Alarms, Fire Extinguishers, Fire Supplies and many more home safety products can be purchased and shipped worldwide at All Hands Fire Equipment.